An active duty soldier, a policewoman, and an escaped prisoner. Following yesterday’s screenshots and information tidbits on Square Enix’s cover shooter Left Alive from Gamescom 2018, Famitsu has gone up with its own preview of the game with additional details. The army of a neighboring country suddenly attacks a city it borders. That army massacred not only the city’s soldiers, but also its civilians. “Why is such a tragedy occurring…?” That is one of the mysteries of the story. The story develops with a focus on three characters stranded in the city. The three protagonists are pictured on the game’s key visual. On the left is a handsome young man who is an active duty, but still inexperienced soldier and Wanzer pilot. The woman on the right is a policewoman and former soldier, who carries the weight of a major trauma that occurred in the past and will rear its head once again in the story. And the man in the middle is an escaped prisoner and former mercenary who was supposed to have been executed, but is somehow still alive. 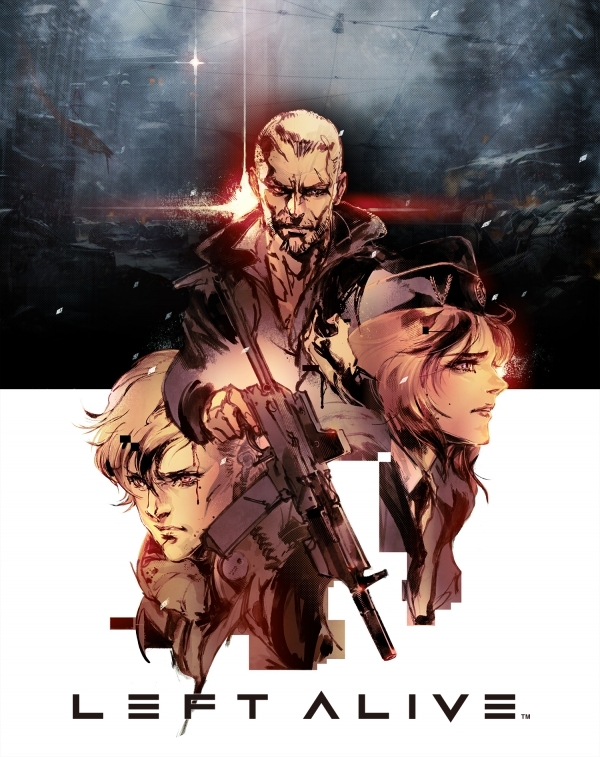 Left Alive is a third-person shooter-type action game that plays out through stages and sees the player control one of the three protagonists. There are also situations where you pilot a Wanzer (mech) to fight. When controlling the protagonists, the game does not play like a shooter where you can mindlessly shoot off your gun. Your limited ammo and how you manage it will be tied to clearing the stage. If you play it like a typical first-person or third-person shooter, you will quickly run out of ammo. The three protagonists have no difference in ability. You will get the same feeling no matter who you play as. By combining materials found in the stage, you can craft items like Molotov cocktails and traps. Among the items you can craft, there is one that acts as a sonar that gives off the enemy’s position, allowing you to take the most advantageous route. There is also an item weight limit. Wanzers are large weapons that exist in the game’s world. A threat to the protagonists, their chance of survival when spotted by an enemy Wanzer is considerably low. However, there are means to fight against them. If you steal an enemy Wanzer, you can experience the exhilaration of defeating enemy soldiers in a single attack. In each stage, there are sub-quests with the goal of rescuing civilians stranded on the battlefield. Sub-quest conversations have dialogue trees, and depending on your choices, the civilians’ level of confidence in the protagonists will fluctuate. 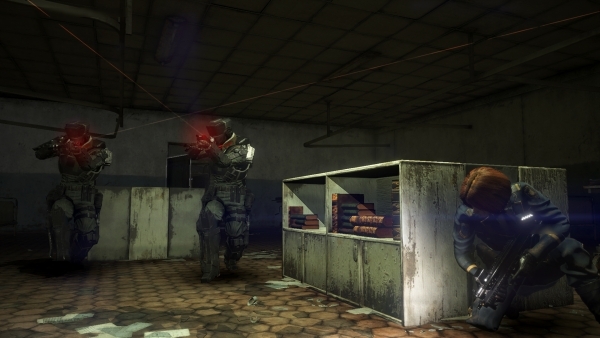 There are also sub-quests that occur in real-time, where the player’s actions themselves become their “choices.” For example, if you encounter a situation such as civilians being held up at gunpoint by enemy soldiers that will be shot to death after a certain amount of time passes, you can either act fast to rescue those civilians on your own or ignore them and let them die. On the results screen after clearing a stage, you will have the option to replay that stage from the beginning. Left Alive will be released for PlayStation 4 and PC.